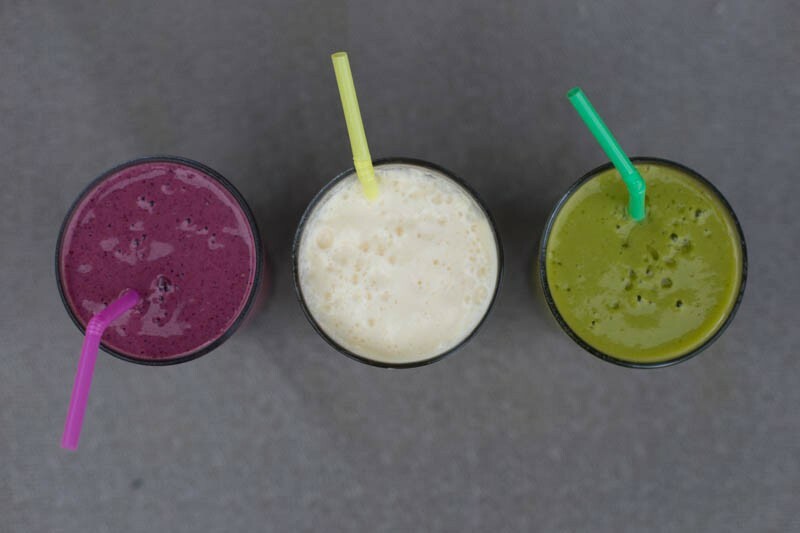 Smoothies are pretty much an every day thing in our house. And not to be braggy, but…we kind of consider ourselves experts on the subject. 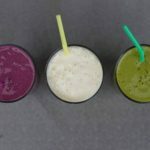 I had a few smoothie recipes up on my blog back when it was still thegrommom.com, but since my re-launch last summer, I haven’t gotten around to posting more. 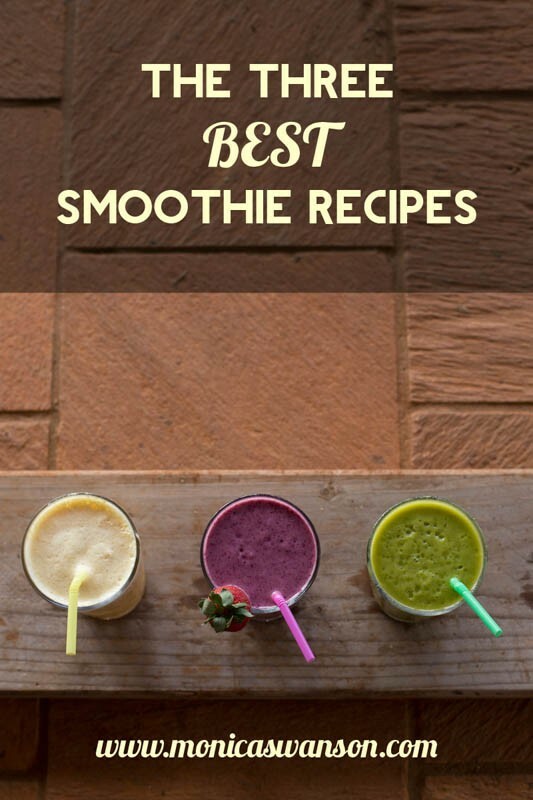 I think the reason why is because there are about a gazillion smoothie recipes available on line (hello Pinterest,) and I figured who really needs more smoothie recipes? 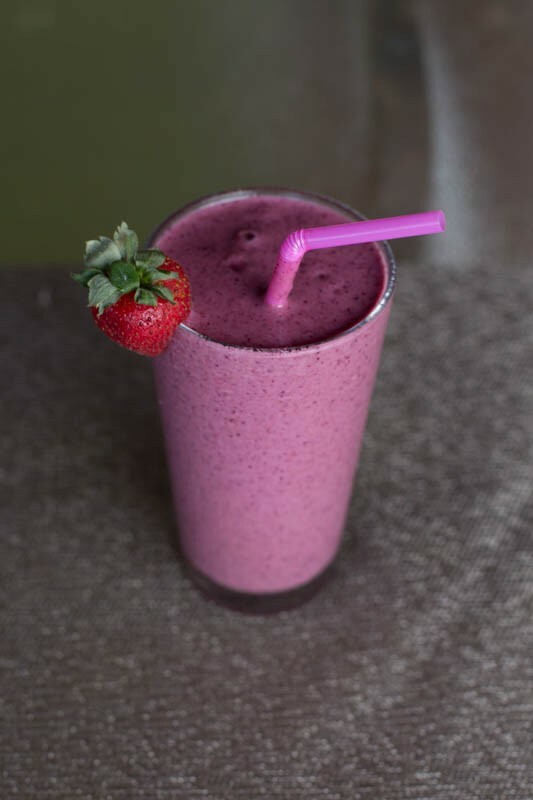 But then I thought: Maybe some people really do want more smoothie recipes! And who am I to withhold the very best smoothie recipes that we have spent years perfecting from the few people who might be interested. So, here you are! The three recipes most commonly blended in this house. Needless to say, these are just the base recipes…We often add in all sorts of things, depending on the day and our mood: Some flax seed, extra fruit we might have on hand, or a little vanilla Juice Plus complete to make it more creamy and protein-rich. 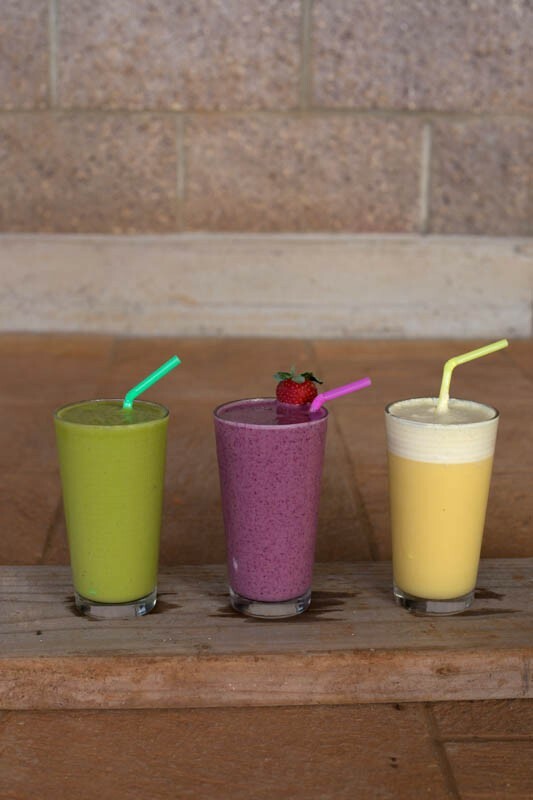 I must say, these three do represent our family quite well: My personal favorite is The Tropical Green because it is packed with leafy greens but tastes more like a Pina Colada. 😉 Dave and Josiah love berries, cold and icy. 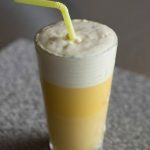 And the younger boys…Well, it’s hard to resist an Orange Julius, right? So here is a printable recipe for each of our favorites! Hope you can have some fun playing with these to make them your own! 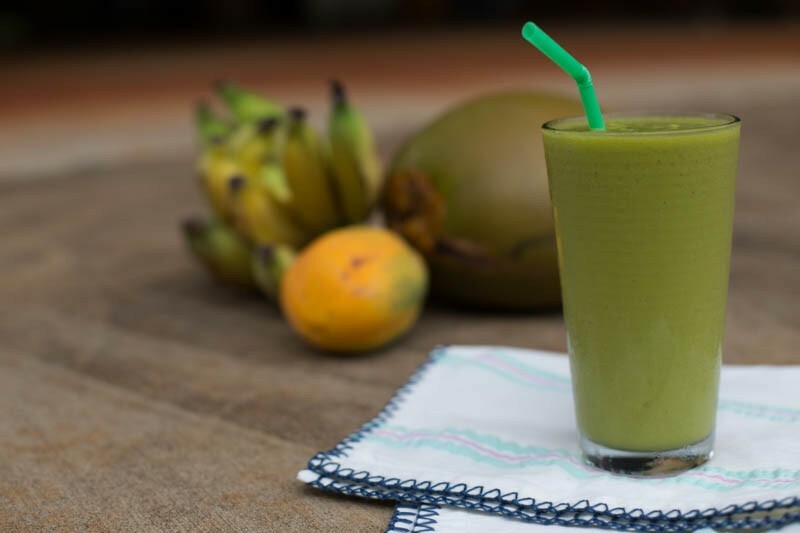 #1… The Tropical Green Smoothie. 1 small-medium papaya can go without if you don't have good papaya. Combine all ingredients in the blender or vita-mixer. Makes at least two large glasses of tropical green smoothie! 1 cup frozen mixed berries fresh is great too! optional: Add in flax seeds, and/or protein powder. We often throw a packet of frozen Acai berry mix in as well. This one is also good with beets! Combine all ingredients in a blender or vita mixer. Blend well, and add honey to taste. Makes two large servings of smoothie! Option add in a vanilla protein powder, or frozen banana. 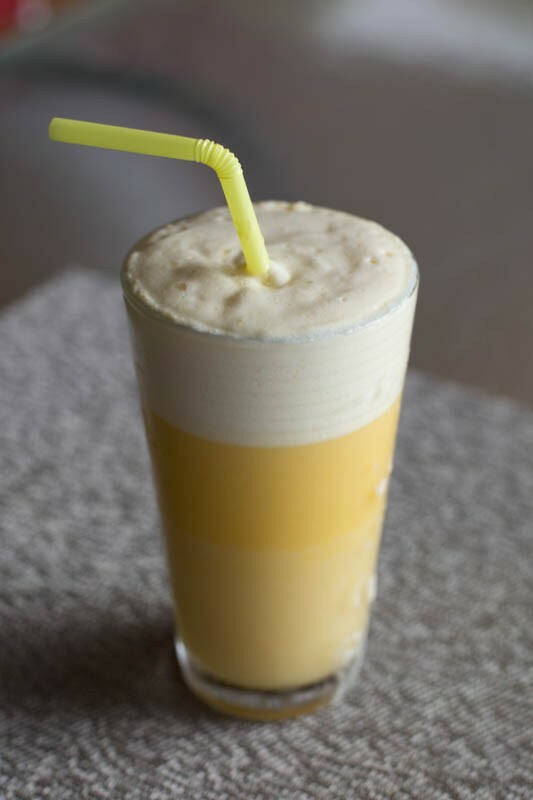 Put all ingredients in a blender and combine until very smooth. 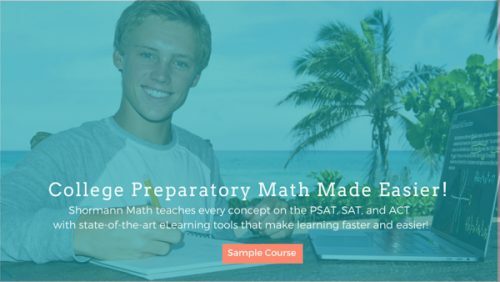 Hope you found something new to try here! 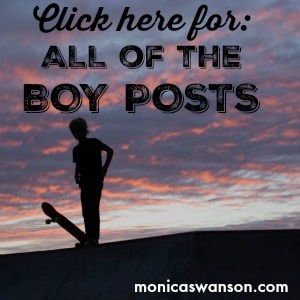 And as always–I love it when you PIN and share my recipes, so clickity click away! 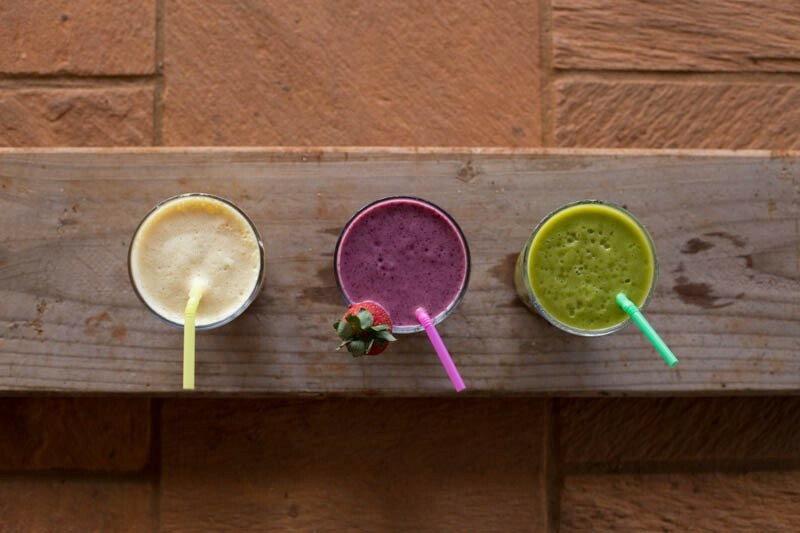 PS Wanna share your favorite smoothie? We’re always happy to try something new, so share in comments! 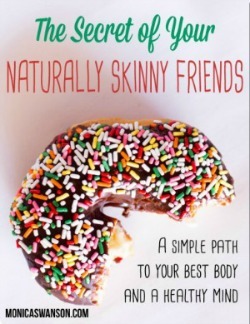 I really appreciate the simplicity and ease of your smoothie recipes. My five-year-old and two-year-old just consumed a cup of spinach each, thanks to your Green Smoothie recipe. It was delicious! Thank you! Mmm! Can’t wait to try these combinations! My morning smoothie has morphed so much over time into something kinda quirky. I use about 2 cups Blue Diamond Almond Breeze Almond/Coconut milk blend (the one that says 60 calories), a dash of flax seed, a couple teaspoons of raw cacao powder, 1 scoop of cookies and cream flavored Spiru-Tein , a shot of espresso (!) , and whatever frozen fruit I have–strawberries, pineapple, etc…maybe 1 cup of frozen fruit. Blend for 1 minute–and voila you’ve got your morning coffee, protein, energy and vitamins! And a taste that is…well…sweet, mocha, fruity….all t once! Holy Cow Wendy–that is quite a mix! 🙂 haha…I would never judge it till I try it, but I do have to give you credit for getting it all in one big drink! Love your style! The only protein-type powder I ever use is the Juice Plus Complete. And that is more of a whole-food based shake mix with 13 grams water-washed soy protein which I’ve read is the very best…:) Since we aren’t looking for like “bulk-up” protein, this is a great balanced mix for us and it also has fruit and veggie powders in it (that you can’t taste) so I feel good sneaking that in to my boys drinks as well. 🙂 XO Aloha! I actually appreciate these recipes! They all sound delicious! 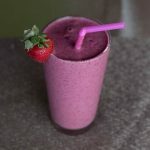 I love a good tried and true smoothie and I like that yours don’t have a long list of ingredients.